AzhwAr asks in this pAsuram: if people have knowledge, is it possible to remain without worshipping him? kAlai ezhundhu ulagam kaRpanavum – early morning [4 am] is the time when it is most appropriate for great people to wake up and learn, since sathva guNam (purely good quality) is at its peak at this time. nammAzhwAr says in thiruvAimozhi 2-10-1 “kiLaroLi iLamai keduvadhan munnam” (before the radiant youth gets wasted) and in thiruviruththam 93 “kAlai nangyAnaththuRai padindhAdi” (in the early hours after having a bath, approach AchAryan and learn about emperumAn). emperumAn in his varAha charamaSlOkam says “sthithE manasi susvasthE SarIrE sathi yO nara: dhAthu sAmyE sthithE smarthA viSvarUpancha mAmajam” (when the mind is calm and composed, the body is in good health, with the three constituent elements of the body in proper balance, when someone thinks of me who am having the entire universe as my body and who am having no births…) Thus in the morning hours, the body and mind are in composed state for doing sAthvik deeds]. 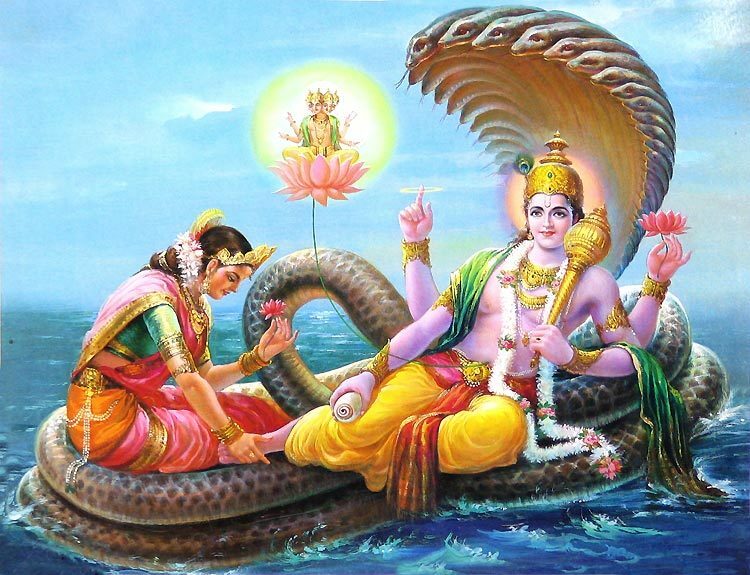 vElaikkaN Or AzhiyAn adiyE – is the divine [pair of] feet of emperumAn who is reclining on the milky ocean which has shore and is very expansive. [in this interpretation, the term vElai denotes shore]. If vElai were to mean ocean itself, AzhiyAn will mean disc and the verse would refer to emperumAn who is having the disc which is used for protecting the worlds. Odhuvadhum Orppanavum pErAzhi koNdAn peyar – the means to attain emperumAn’s divine feet and to think of him are his divine names. emperumAn has the complexion of ocean which removes all sorrows. We shall take up the 67th pAsuram next. This entry was posted in iyaRpA, mudhal thiruvandhAdhi on August 15, 2017 by T N Krishnan.